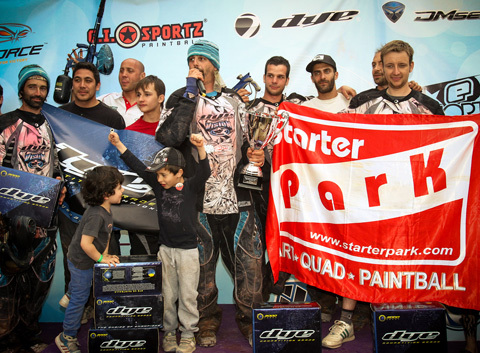 "St Tropez was a great start to the season for Marseille Vision. The team had been working hard towards the first Millennium event and we are all so happy that all the hard work has paid off. We would like to thank all of our sponsors; DYE, Energy Paintball, Starter paintball, GoodGame Paintball, Paintball Distribution and an extra thank you to DYE for providing DYE CG Paintballs, the best paint to shoot all weekend. Also a massive thank you to all of our fans for creating such a great atmosphere and showing their support during the event and especially the final's. Now its time to work hard for Germany, We look forward to seeing you all there."